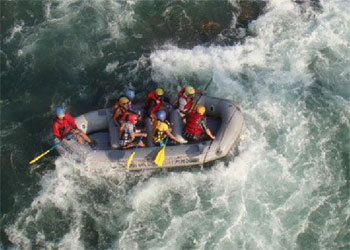 Nepal Rafting is no doubt the second most sought outdoor thriller after trekking. 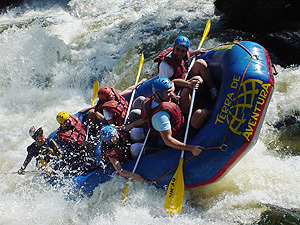 The most popular and adventurous sports Rafting is a creative and outdoor activity done in fast flowing rivers.Nepal is a fast-flowing rivers paradise which offers such a choice of rafting or kayaking in such magnificent mountain surroundings, with warm rivers, a semi-tropical climate, impressive geography, exotic cultures, wildlife and friendly welcoming people. The majestic abundance of high mountain theater of glacial streams flowing down to make the tributaries and source of every river system of Nepal is undeniable. It has thus led to open up a gateway of various outdoor water sports in Nepal rafting trips leading the way. Nepal boasts some of the world’s best rafting rivers. Nepal has earned a reputation as one of the best destinations in the world for white water rafting. Nepal’s thundering waters, coming from the glaciers of the mighty Himalaya, provide unmatched thrills for rafter. On these Nepal Rivers rafting tour, you will find the world’s most thrilling whitewater with a wide range of difficulties, warm water and bug-free beaches for camping. Nepal River Rafting is one of the most enjoyable and effective ways to experience the life of rural areas & spectacular scenery of nature’s beauty. Rafting in Nepalese rivers is one of the best ways to explore a typical cross section of natural as well as ethnocultural heritage in the country. Nepal Rafting also offers the sparkling panorama of high mountain peaks, dense vegetation, and mysterious wilderness as its backdrop unfolds irresistible challenges and adventure. The Himalayan country, Nepal has varieties of river choices besides the Himalayan beautiful mountain ranges. There are numerous rivers in Nepal which offer excellent rafting and canoeing experiences. All major rivers created from the Himalayas and running down the mountains offers a tremendously exciting experience of White Water Rafting. Here are many rivers to explore Nepal rafting reality Like Trishuli River, Seti River, Bhote Koshi River, Kali Gandaki River, Marsyangdi River. 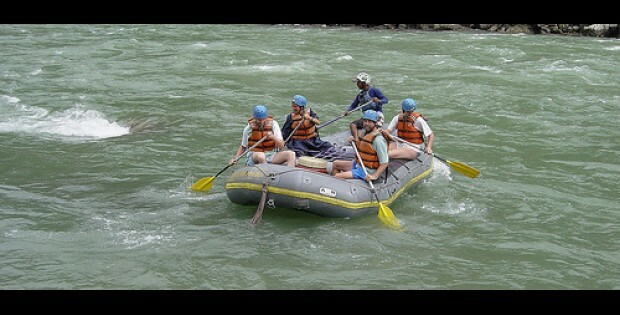 Nepal River rafting is graded as easy Grade 2 to difficult Grade 5. Our fully supported river rafting expeditions are thoroughly equipped to the last detail. Expert professional guides, safety kayakers with countless experience, and top quality equipment make it possible for even those new to the Rafting world to experience some of Nepal’s more challenging rivers. Our river rafting in Nepal trips is designed perfectly for novices and families to ultimate thrill-seekers. We “Above the Himalaya” is proud to share our wonderful country, culture and our many years of experience in this field with you and give you an excellent opportunity to explore the remote countryside with the rafting journey in river water of Nepal.